In nearly a decade of helping people recover from cancer, CTOAM’s precision oncology specialists have never seen two people with exactly the same cancer. Our specialists have seen people with breast, lung, brain, and prostate cancer, as well as other types of cancer – and, even within the same category, no two people have had the exact same mutations driving their cancer. Therefore, each of our patients has required a unique combination of advanced targeted therapies and nutraceuticals, and sometimes in addition to other treatment interventions. 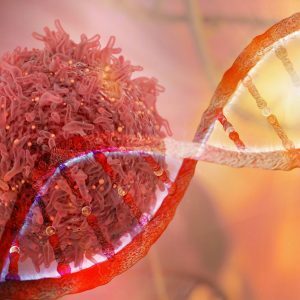 In order to have the best chance of recovery from cancer, your treatment must target your unique genetic mutations. And for that, you need genomic profiling and Precision Oncology’s gene-based approach to cancer care. How is Cancer Treated Using Precision Oncology? Genomic profiling is the process of getting your cancer tissue genetically tested to identify which genetic mutations are driving your cancer, and then finding a targeted therapy to match your exact genetic mutations. Essentially, it allows us to find the most effective treatment for your unique form of cancer and, therefore, improve your chances of survival and lifespan, as well as improve your overall quality of life. Genomic profiling is becoming more common in cancer care and will, no doubt, become the norm in future. The following points are directly inspired by this excellent article by Dr. Phil Smalley (MD, FRCPC), titled “Offering Cancer Genomic Profiling as an Employee Benefit”, published in Corporate Wellness Magazine. We have highlighted some of Dr. Smalley’s original points in the list below and encourage you to read his original article as well. A major benefit of genetic testing for cancer treatment is determining exactly which genetic mutations are driving your cancer. Genetic testing is really the only way to obtain a complete and accurate diagnosis of a person’s cancer. Tumour DNA sequencing (genetic panels) and liquid biopsy are two of the more common forms of genetic testing available to cancer patients. Please keep in mind that genetic test results must always be analyzed by an oncogenomics expert (such as CTOAM’s Alex Rolland). Many clinical oncologists do not have a deep enough understanding of genomic profiling to accurately analyze comprehensive genetic panels. Genetic testing also allows us to predict which types of targeted treatment are most likely to benefit you. With a simple test, we can determine whether immunotherapy is likely to work for you (or not), as well as other targeted treatments. And, in addition to the stage and type of cancer, knowing your genetic mutations provides us with a third piece of information from which to help predict the future of your disease more accurately. Identifying your genetic mutations allows us to find a matching therapy that is specifically designed to target the exact cancerous cells driving your cancer. As soon as we have found a matching targeted therapy, you can begin a course of treatment that we know is killing your cancerous cells and leaving all of your healthy cells alone to flourish. Knowing your genetic mutations also allows cancer patients a better chance at getting enrolled in a clinical trial that’s right for them. In many cases, clinical trials require genetic testing to be done in order to enrol the right patients in the right trials. Clinical trials are extremely beneficial since they allow cancer patients to access advanced treatments proven to be superior to standard treatment at no cost. Targeted treatments have been showed by many studies to offer cancer patients higher survival rates. 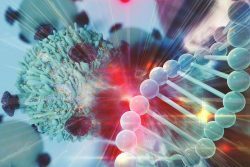 “For example, one study of lung cancer patients showed an improved overall survival in the patients that received targeted therapy based on the results of the genetic testing compared to the the group that just received standard cytotoxic chemotherapy. (31.8 months compared to 12.7 months)”. And because targeted treatment only kills cancerous cells, and not the healthy cells, patients experience fewer and less severe side effects than with standard chemo or radiation (which kill all rapidly reproducing cells in the body). Finding out the genetic mutations driving you cancer may reveal inherited mutations that can affect other family members. If you find that your family is likely to also have inherited mutations, they can begin to be proactive in cancer prevention. For example, they can start doing screenings regularly, begin a preventative nutraceutical diet, and a strength training regimen. There are many ways to prevent cancer. CTOAM offers Precision Oncology packages for every budget and need. We also offer Individual Services if you want to arrange a la carte genetic testing, genetic counselling, or PET/CT scan. There are many more single services to choose from. CTOAM has helped many cancer patients to live longer and become cancer free with our unique Precision Oncology approach. If you’d like to learn more about how we can help you do the same, considering booking a free consultation with our cancer experts.